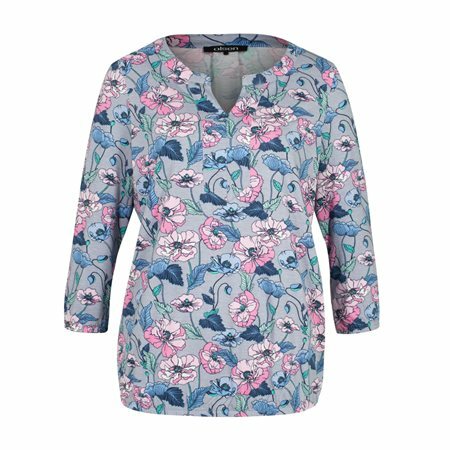 Manufactured with a tunic cutout and in the wider Olsen fit Clara this t-shirt is a perfect variant for a late winter outfit with cardigan or knitted waistcoat. The cheerful floral pattern adds colour to the outfit and makes you feel good. The elastic waistband at the end and at the 3/4 sleeves also allows numerous styling variations.